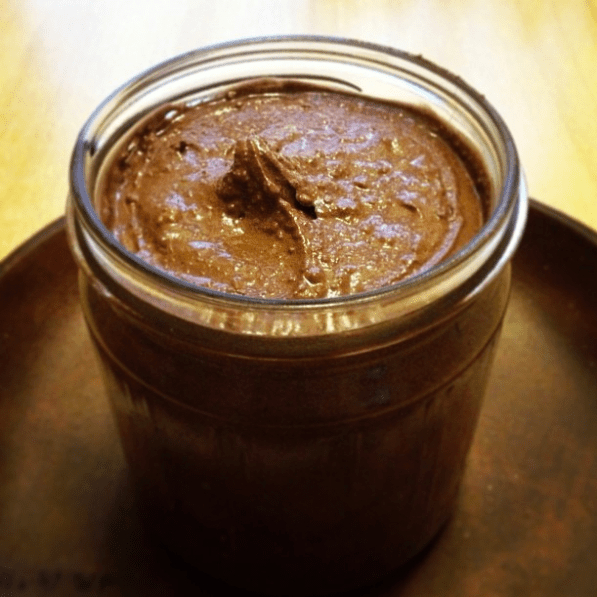 Walnut chocolate spread is a great alternative to all the spreads containing hazelnuts. Self made and healthier than any brand you can buy, since there is no refined sugar in it. You can replace the Walnuts with Pecans or Cashews as well. Whip the butter until its fluffy. Add the honey and stir it again. Then sift the cacao into it while stirring to prevent it from clumping together. Crush the walnuts (or use walnut flour) then stir them into the batter.